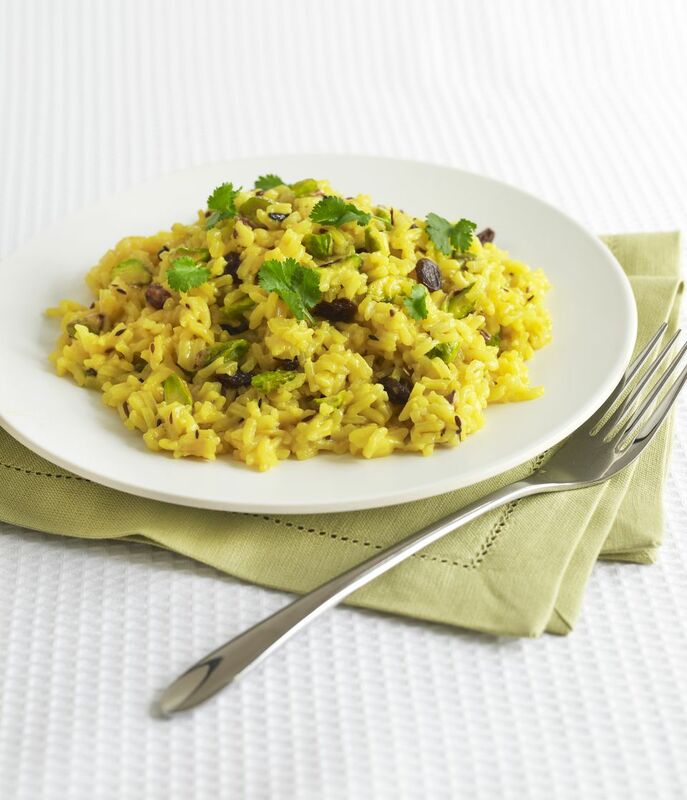 Saffron pilaf is a flavorful side that is great alongside chicken. It is extremely easy to prepare. The saffron gives a unique and subtle flavor. In a small bowl, combine hot water and saffron to allow flavor to escape the threads. In a large saucepan, saute onion in butter until golden. Add chicken stock, saffron, salt, and pepper and bring to a boil. Add basmati rice, cover, and simmer on low heat for 25 minutes. Remove from heat and let sit, covered for 3-5 minutes. Fluff with a fork and serve.